Often described as a ‘barometer’ for the overall art market, the Warhol market has dominated world auction sales in the last 16 years. However, only $29.5 million has been sold at auction in the first 5 months of 2016 This is compared to $206.1 million for the same period in 2015, the equivalent of an 86% drop in sales value. These sales levels have not been seen since the first half of 2005, the beginning of the art market boom. 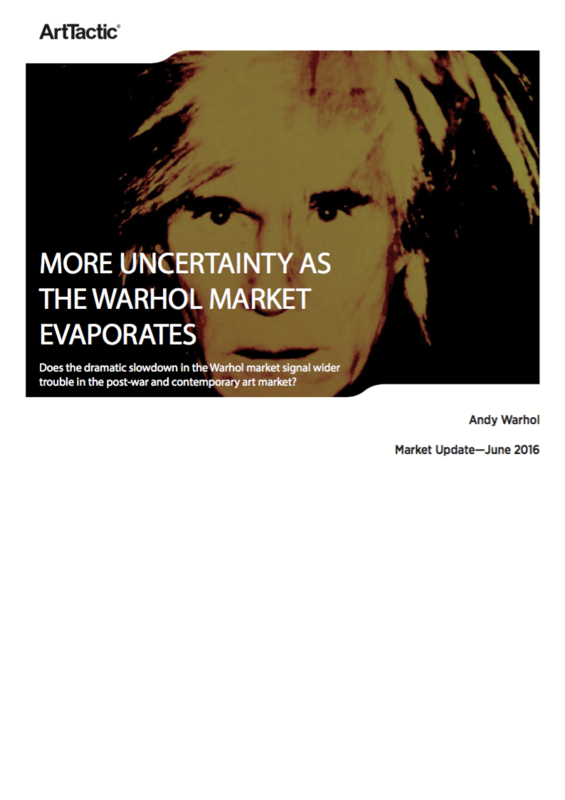 This report is an update to previous Warhol research (see below) carried out by ArtTactic. ArtTactic also offer bespoke reports on the Andy Warhol market, if this is of interest please contact us on info@arttactic.com. The Post-War & Contemporary Evening sales in London, June 2016, including Post-War and Contemporary lots from Christie’s Defining British Art Evening Sale. These raised a total of £116,675,000 (excluding buyer’s premium). Notably, this was just short of the total pre-sale estimates of £117,520,000 to £151,560,000*. The total among Sotheby’s, Phillips, and Christie’s was 44.6% lower than June 2015 and 7.5% lower than in February 2016. A positive of the week was that for an international art market centre to have real credibility it needs to demonstrate that it can cope with the most dramatic shocks, such as UK’s referendum decision to leave the EU. 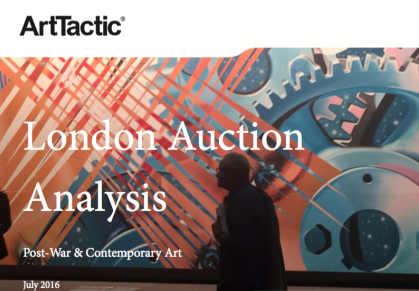 Faced with high levels of uncertainty, the London art market showed resilience when it mattered most. 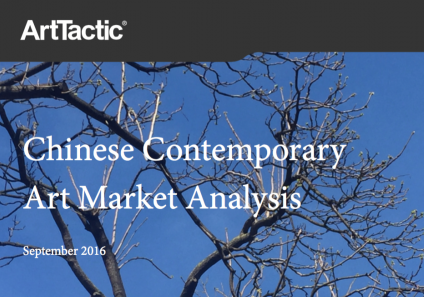 Since the peak of the Chinese contemporary art market in 2010 and 2011, overall Chinese auction sales have adjusted downwards. These sales are roughly 15% below the peak, where they’ve held steady over the last 5 years. Sales results (all Chinese auction categories) after the first six months of 2016 from the big four auction houses (Christie’s, Sotheby’s, Poly, and Guardian), came in at $1.5 billion, 3.3% higher than November 2015, but still 6.2% lower than 12 months ago. Although the overall Chinese art market did well in the first half of 2016, Chinese Contemporary art sales continue to struggle. The overall Contemporary Chinese sales from Christie’s, Sotheby’s, Poly, and Guardian raised a total of $45.4 million. This represented an overall decline in sales of 21% from Autumn 2015.